Venerable Master Hsing Yun was born in Chiangtu, Chiangsu Province, China in 1927. 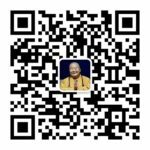 He was tonsured under Venerable Master Chih Kai at the age of twelve and became a novice monk at Chi-Sia Shan, a mountain monastery in Nanjing, China. Today, Venerable Master Hsing Yun is the 48th Patriarch of the Lin-Chi line of Ch’an and the founder of the Fo Guang Shan Buddhist Order and its international headquarters in Kaohsiung, Taiwan. Under his direction and dedication to spreading the Dharma, Fo Guang Shan now consists of over 200 branch temples in five continents; 16 Buddhist colleges (seminaries); Fo Guang University and Nanhua University in Taiwan, University of the West in Los Angeles, United States and Nan Tien Institute in Woolongong, NSW, Australia. Venerable Master Hsing Yun is also the founder of the Buddha’s Light International Association (BLIA), which has over 170 regional chapters and millions of members worldwide.